No longer answering to the Galactic leaders, Strategic Aerospace Command (SACOM) has evolved into an independent, powerful de facto government themselves. Disregarding civil law, they make and enforce their regulations using security forces and military tribunals. Against his better judgment, Carl Wilkins accepts a salvage contract that promises to make him rich. Aboard the salvage vessel Independence, he and his crew depart to retrieve valuable materials from three SACOM battle cruisers recently abandoned in deep space after their destruction by the Xetians, a hostile alien race. But just days into the mission, a mishap leaves one team contaminated with lethal radioactive debris. As the crew struggles to get their stricken friends aboard the Independence, the Xetians return, and Carl must act quickly to save his crew. Soon he learns that this misfortune was no accident. Someone in SACOM set him up to fail, but why? His only hope of survival is to allow himself to be drawn into a massive conspiracy against SACOM. 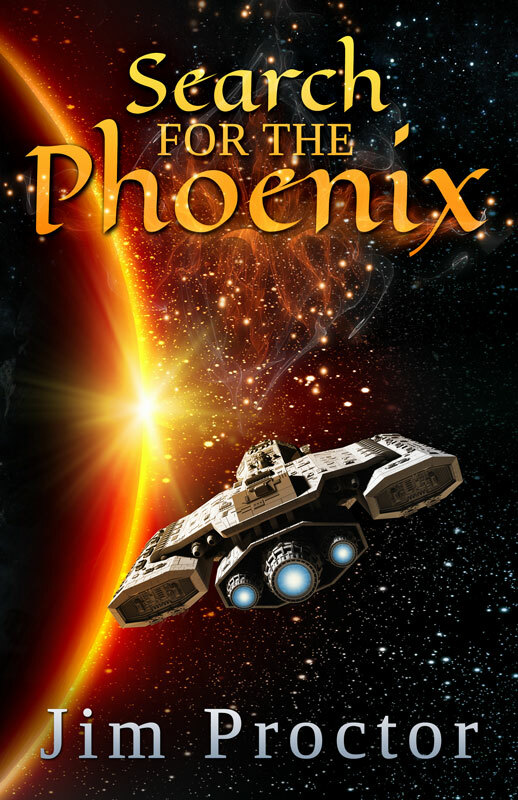 Piloting the Phoenix, a specially converted space freighter, Carl embarks on a perilous solo mission to prevent SACOM from building a super-weapon capable of destroying an entire star system. Veronica Phoenix will take you on a suspenseful and action-packed journey across the galaxy as Carl Wilkins fights to stop SACOM and to rebuild his shattered life. 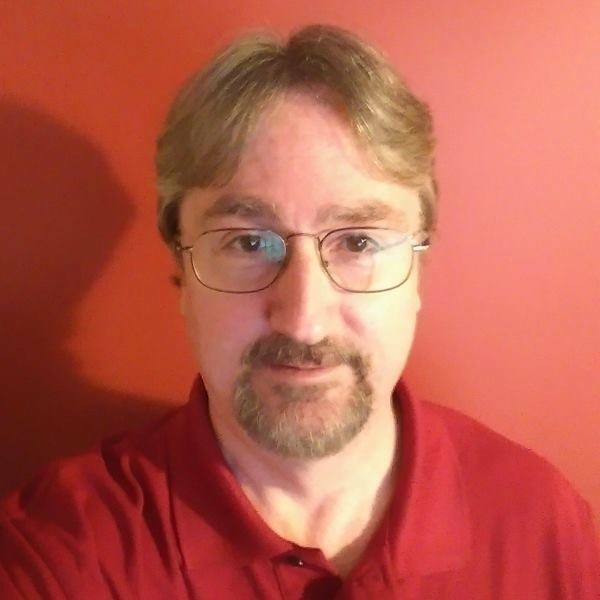 Jim Proctor creates a unique and complex science fiction tale in Veronica Phoenix, one with all the complexity of a political drama mixed with strong elements of a murder mystery. A great story with a nice twist of an ending. An excellent fast-paced story from a new author, very much worth a read! Veronica Phoenix is a science fiction story with a healthy dose of some of my favorite ingredients: adventure, suspense, greed, and love. This is a terrific futuristic book with well developed characters, a fascinating world, a likeable hero and enough twists and plot turns to keep the reader on their toes. Highly recommended! There’s something of the film noire detective movies in Proctor’s writing. This is Proctor’s best work to date, and I highly recommend it. 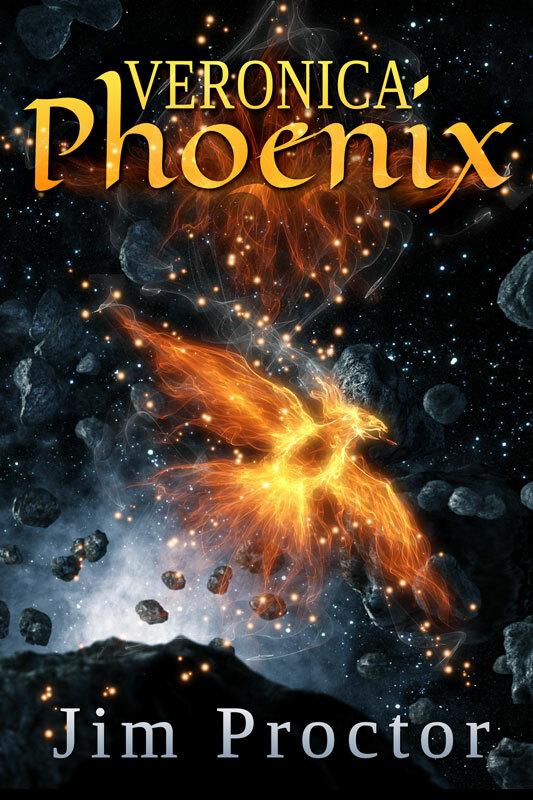 This second book in the Phoenix series is filled with intrigue and suspense. This is great science fiction and drama and I highly recommend this book. I wondered if the second book could equal the first. New characters were introduced to the narrative and the author tied it all together seamlessly. Looking forward to reading more from this creative writer. I couldn’t stop reading the story. I had to follow the adventure to see what what’s going to happen next. I really enjoyed reading this story and hope to read more stories written be Jim Proctor. I am a huge fan of science fiction and an even greater fan of short stories. The two come together in this wonderfully spun tale, “Made in the Stars” by Jim Proctor. I loved the science fiction aspect, going through different portals, wondering what that would be like! this was a different genre for me, and I am so glad I read it! If you’ve ever read Jim Proctors other novels, you know he has a huge talent in showing us the advanced technology of these other futuristic civilizations. In Made in the Stars, I especially loved the wormholes the people use to get from planet to planet. The author took us for a wonderful ride through the Sci/Fi world, weaving together a story of finding love where we least expect it. 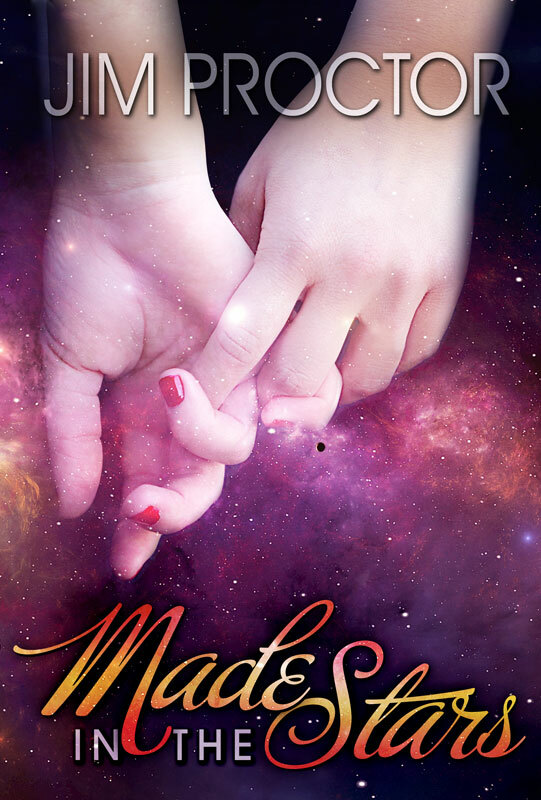 Made in the Stars has made me a fan of this author and his writing style. Join Jim's mailing list to receive the latest release information.